Snow and cold temperatures are hitting the state once again, and the risk of frozen pipes will certainly be an issue in the upcoming days. 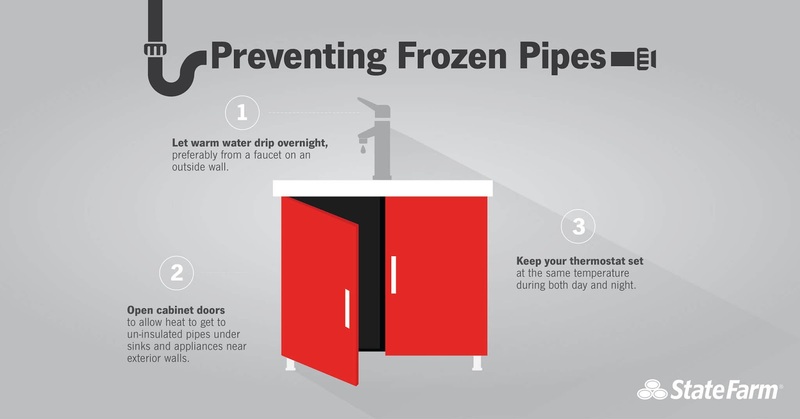 According to 2018 State Farm® claims data, more claims were paid in Illinois (1,546) for winter water losses (including frozen pipes and ice dams) than any other state in the U.S. The total pay-out for Illinois claims in 2018 reached nearly $28,000,000, with the average cost per claim just under $18,000. The next closest state was New York at 1,364 claims and an average pay-out of $27,000 per claim. Pennsylvania, Tennessee and Texas rounded out the top five states with the most water peril claim counts in 2018.